Hypnosis is an entirely natural phenomenon that we all experience every day. It is that deeply relaxed state I call the transitional state between sleep and wake. We all enter this state just before we fall asleep or immediately on wakening in the morning. It is totally natural and last only a few moments. With hypnosis I extend that relaxing state to the length of a session. Ever driven along a familiar route, got to your destination and thought "I don't actually remember anything of that journey?” That is a well-documented phenomenon called "highway hypnosis". Other naturally occurring hypnotic states include daydreaming or becoming so totally engrossed in a book or TV programme that we are totally oblivious to what is going on around us. Hypnosis is an altered state of consciousness characterised by profound physical and mental relaxation. In this very pleasant, deeply relaxed state our minds become more focused and we can access the subconscious mind allowing us to change harmful patterns of behaviour e.g. stopping smoking or over eating. You already know what hypnosis feels like, because you have experienced natural hypnotic states every day of your life, when daydreaming or driving or watching TV. These are those pleasant, dreamlike states where we "drift off". The Safe, Intentional Hypnosis we use during your sessions is entering these same, natural states deliberately and with awareness. It is a systematic method that allows you to enter these "dreamlike states" and communicate directly with your subconscious and issue new suggestions or instructions. These suggestions are tailor-made for your individual needs, and will be made for you by me your hypnotherapist. All you have to do is relax and enjoy the experience! No. You are awake and alert, aware of everything that is happening throughout the session. Will I be under the hypnotist's power? No. You are in charge. You cannot be made to do anything and you cannot be taken into hypnosis against your will. It is your experience. You can. Everyone can. As long as you wish to enter hypnosis, you will. It's an easy, enjoyable and thoroughly relaxing process. Absolutely. The routines we use are the safest in the World. You enter hypnosis via a deep relaxation technique and your exit is safe, controlled and relaxed at all times. No, you will not be asleep. You will feel deeply, deeply relaxed but be aware of what is happening around you. No, you will remain in control at all times. In hypnosis nobody can make you do anything that you don't want to do. Can I get "stuck" in a trance? One and a half hours to two hours. Will I have to have treatment for years? No, the beauty of hypnotherapy is that it produces results very quick. 97% of people will have amazing results in just one session and will not require a back up session. However 3% of people will take longer to work on than others but I am very solution focused and will aim for a resolution of your particular issue as quickly as is professionally possible. 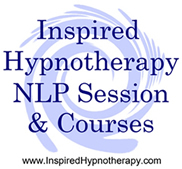 Clients will be taught self-hypnosis so that they can continue to work on the problem at home in between sessions. Clients will also be given a professional hypnotherapy CD recording to listen to at home. Can hypnotherapy be used with children?